Welcome to Three Times A Charm. Today’s guest is YA author, TC Mckee. She's touring the world wide web, talking about her shiny new release. I love introducing my readers to the people who work in children’s publishing. Thanks for joining us, Tammy. Would you please tell us a little about you? 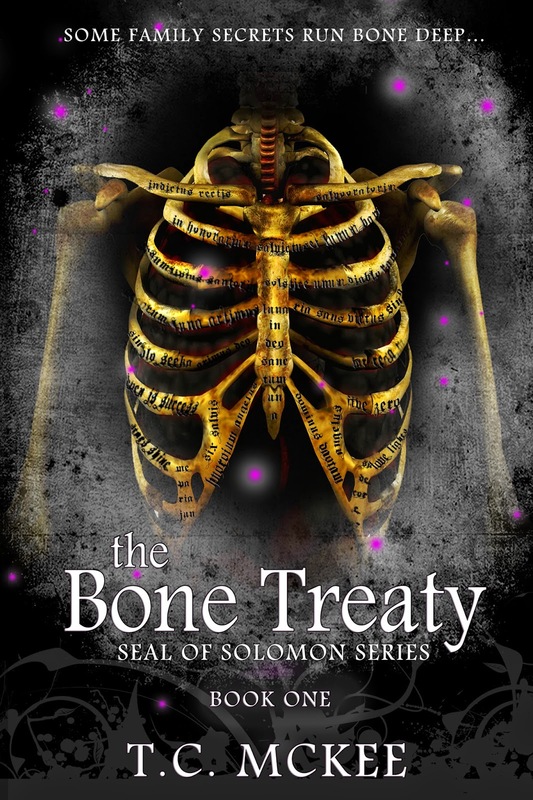 Author of The Bone Treaty, book one of the Seal of Solomon Series/August 2014. Owner of an elder care/concierge firm located in Virginia, which has nothing whatsoever to do with writing. I’m the Acquisitions Editor and owner of BookFish Books, a small YA publishing house which has everything to do with writing. I’m a chronic reader and writer. Lover of fiction, especially historical. I’m accused of being a Jane of many trades, an accusation I balk at often. I live in Virginia with my husband, one daughter, and one incredibly spoiled Great Dane. How very ecclectic your life sounds. 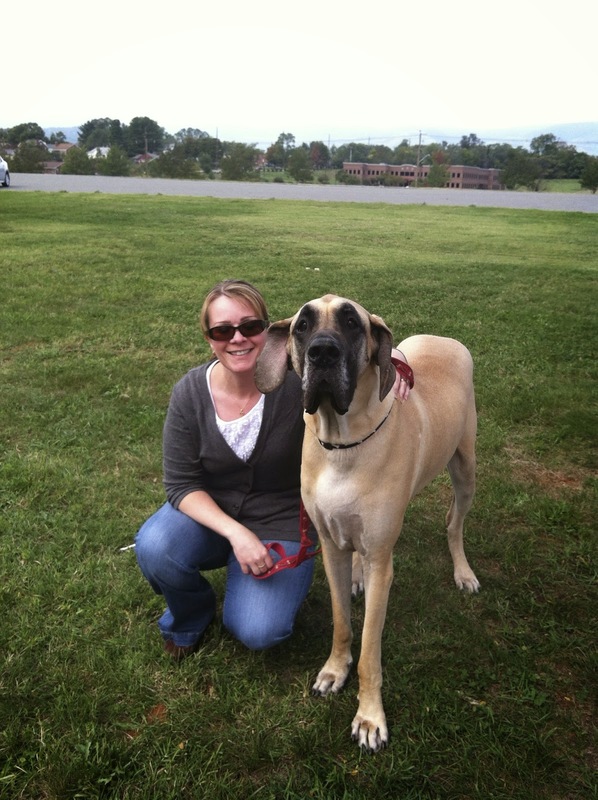 Elder care, book publishing and a Great Dane. Now, tell us about your book, if you will? To boast a bit about me. My new book, The Bone Treaty just debuted like two weeks ago. My cheeks are still hurting from all the smiling. There’s just something thrilling about holding your own book in your hands for the first time. Not gonna lie, I teared up a little. A power as old as King Solomon awakens when a seventeen-year-old girl marks the brooding hot abductor ordered to seize her. Addie Heaton’s not your average high school student. Orphaned at two, she’s spent most of her life reading the emotions of others. It’s a little trick she likes to call color-vision. But lately, a stranger has been trailing her, putting off shades of black and red—colors Addie hasn’t seen since the night her parents were killed—colors Addie never wanted to see again. But when Addie comes face to face with Conal Reed, owner of the terrifying shades, she learns her stranger’s a little different too. He’s brooding hot, mysterious, and all too elusive. Conal loves to materialize, and then vanish at all the wrong times. Nice. After years of keeping her ability a secret, Addie’s found another person with gifts, someone who may know what she really is. But Conal’s not talking. He’s having more fun showing up uninvited, teasing her senses, and disappearing at all the wrong times. Instead of finding answers, Addie finds herself reconsidering ever being alone and naked again. Congratulations, Tammy. I agree, holding your real, live book is a supreme thrill. But seeing a reader with it…way better! Never give up on your dreams. Never depend on others for happines, you have to own and generate your own happy. Recognize beauty in the mirror when it stares back at you every single day. We’re all amazeballs in some way (I only used “amazeballs” cause it makes my daughter cringe). That’s how I generate my own happy. The Beach, specifically the Caribbean whenever possible. Charleston South Carolina, somewhere around Magnolia House cause I think I lived there once in a past life. I bet I rocked a corset. Or not. I would have totally boycotted those. And lounging on the couch beside the hubs watching whatever’s on TV. Actually, I like to be wherever he is most of the time. The future belongs to those who believe in the beauty of their dreams. -Eleanor Roosevelt. Experience is simply the name we give our mistakes. -Oscar Wilde. Where can our tech savvy readers find more about you and your lovely, new book? Thanks for joining us on this week’s Three Times A Charm, Tammy! Best of luck to you and The Bone Treaty. Great to see you, Susan! About corsets, I think I would have loved what they did for my figure and my social life as a younger woman, but would have gotten a bit looser on the cinching past my 30's. Thanks for stopping in. We definitely would have been kindred spirits, Susan. We would have caused quite the scandal. LOL. Hi, Kai. Interesting interview. Tammy, CONGRATS on your book. That's quite a cover. Very intriguing cover, isn't it Susanne. And Tammy's dog is awfully cute!